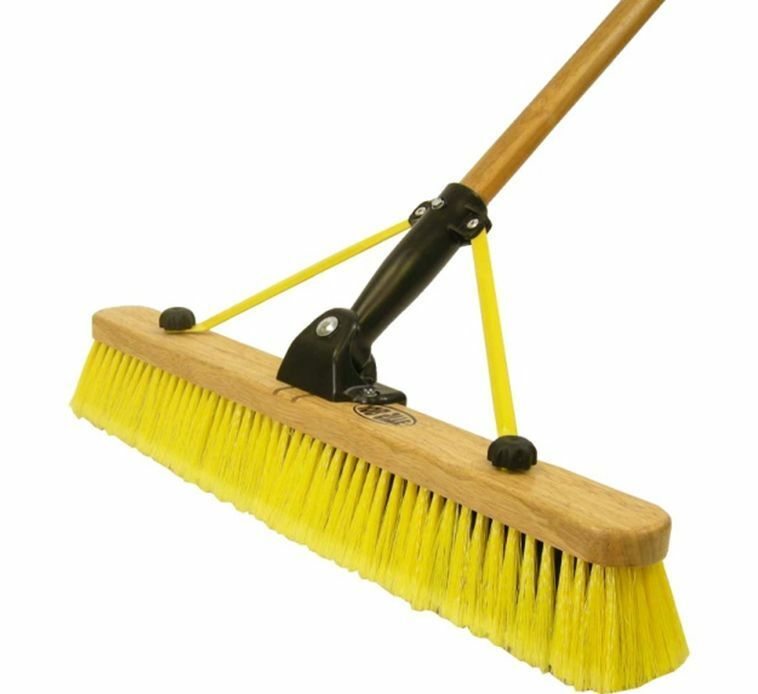 Sweeps Medium and Textured Surfaces like Garages, Basements and Sidewalks. 3 Soft outer fibbers and stiff inner fibbers sweep sand, light to medium dirt and drywall debris. 1-1/8 Diameter x 60 professional grade hardwood handle. Sturdy powder-coated steel brace and connector eliminates loose handles. 24Inch Multi Sweep Folding Pushbroom Sweeps Medium and Textured Surfaces like Garages, Basements and Sidewalks. 3 Soft outer fibbers and stiff inner fibbers sweep sand, light to medium dirt and drywall debris. 1-1/8 Diameter x 60 professional grade hardwood handle. Sturdy powder-coated steel brace and connector eliminates loose handles.